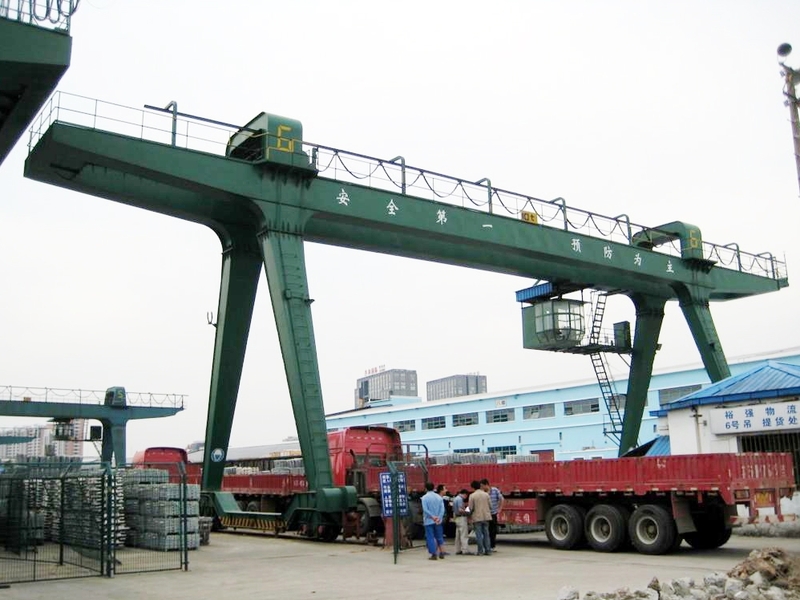 Heavy Load Double Girder Gantry Crane - Henan Jinrui Machinery Co., Ltd. The double girder gantry consist of Mian beam, suppot legs, crane driver cabin, trolley traveling and crane traveling mechanism, electric hoist, hook and electric control parts. Double girder gantry cranes two box girders and four legs can achieve perfect construction stability, strong structure, compact and stable design. 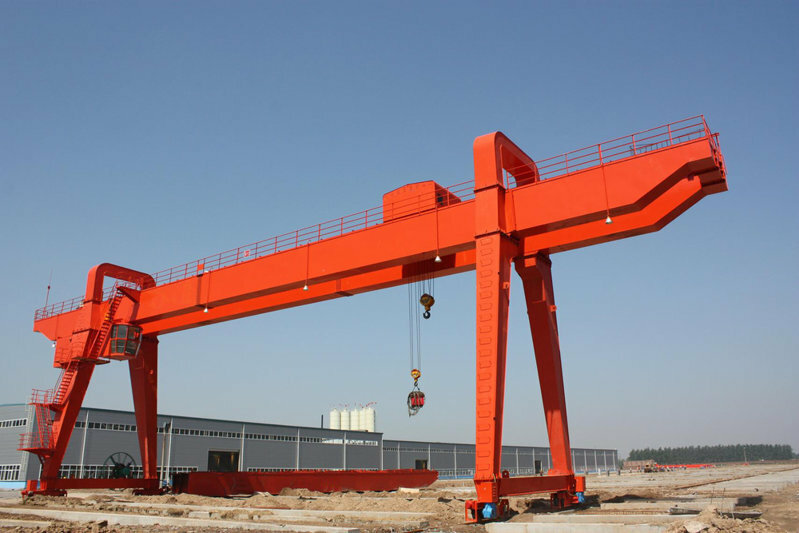 The double beam gantry cranes are large duty lifting equipment, the lifting capacity can be up to 500ton, especially suitable for lifting and transporting over 10T and span more than 25m, widely used to railway building, subway building, road building, bridge building, ship building, large mine, metallurgy manufacture and other large duty work site. 5. Superior safety and reliability, overload protection, lifting and traveling protection, limit switch, buffer, sound and light alarm, etc. 4. Electrical parts: apply famous brand, or as your required. 1. 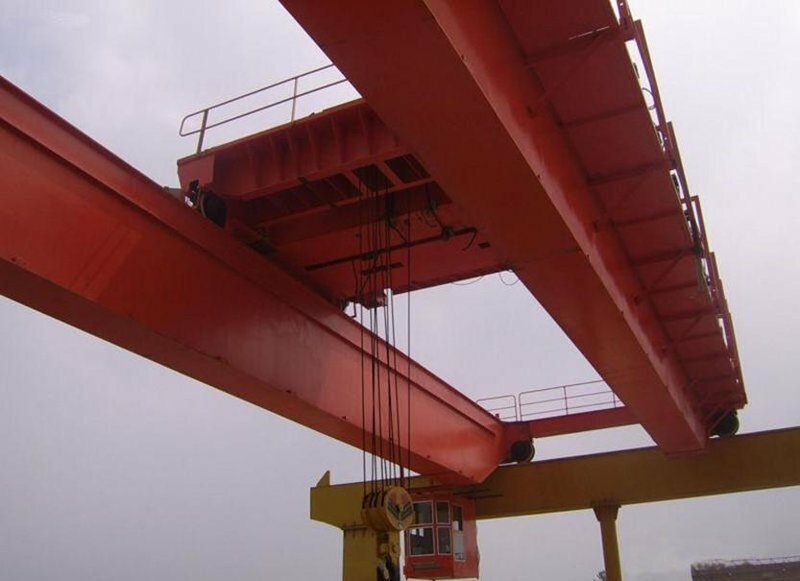 What we need to know to select suitable double girder gantry crane? Lifting material, working condition, lifting height, lifting capacity, span and other special requirement, we will satisfy you. 2. Can users get gantry cranes drawing or not? Yes, we have perfessional techcnial team, can supply detailed gantry drawing, even the parts. 3. How long is the warranty? 12 month after users received the gantry crane. 4. 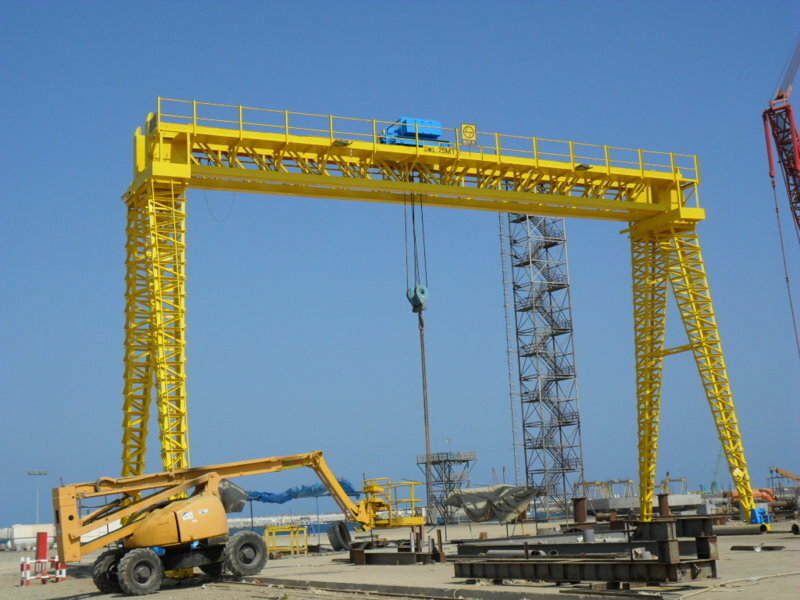 How to install the gantry crane? 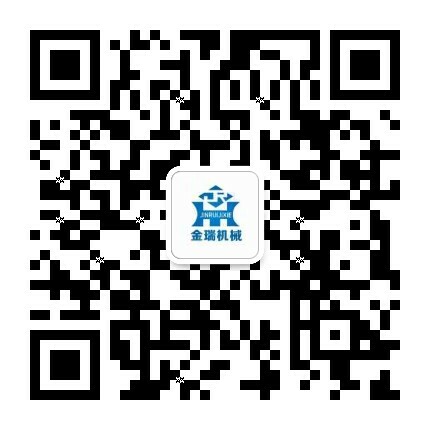 We will arrange technical staff to install oversea, the staffs also will train the worker and driver for the customers.